The park located in Barbour and a portion of Upshur County, attracts families that enjoy the outdoors to hike, camp and picnic. The water of the Middle Fork River and the rock overhang of the Alum Cave are favorite photo backdrops. 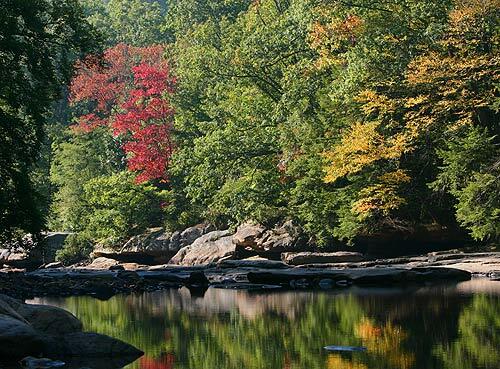 A seasonal area to visit, Audra State Park has been one of West Virginia’s treasures since 1948. Visit Audra State Park every chance you get. Visit audrastatepark.com for more information.